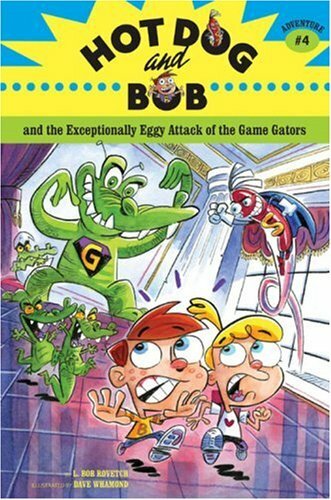 Synopsis: Bob, Clementine, and Miss Lamphead's entire class find themselves mysteriously transported to the domain of the Exceptionally Eggy Game Gators. Will Bob and Clementine find their way out of the gators' maze in time to save themselves and the world? About the Author&colon; L. Bob Rovetch lives in northern California. 6. Hotdog and Bob and the Exceptionally Eggy Attack of the Game Gators.